If there's one thing I love, it's dressing up. I was a dancer when I was younger, and practically grew up in costumes. Halloween, then, is one of my favorite holidays because it's the only excuse I have as an adult to dress up. I spend the entire year thinking about what I'm going to be for Halloween. Below are some of the best ideas I've had this year. Photos via: Alexander McQueen, Tasha Leelyn, Valentino, George RedHawk, and Now That's Pretty. I think the way humans conceptualize outer space is so beautiful. I would love to be an embodiment of that beauty, even if just for the night. They say we're all made out of atoms that, at one point, used to be part of stars and planets and comets. 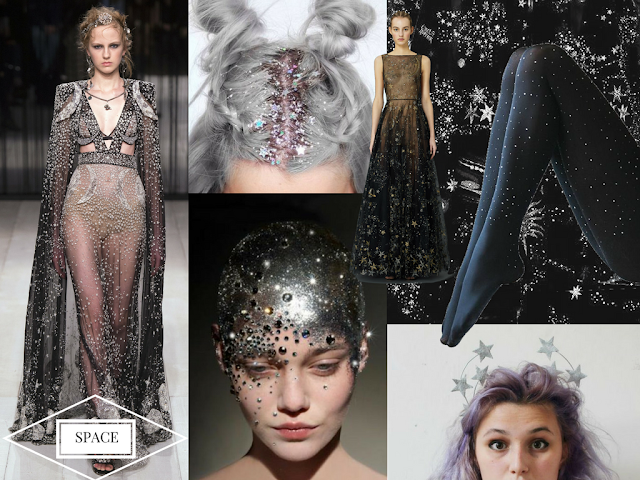 Bring out that part of you with a lot of glitter, some delicately embroidered fabric, and an easy DIY star crown. Photos via: The Joy of Fashion, Kelly Oshiro, Valentino, Roccobarocco, and Erin Hills. I grew up reading novelized versions of Greek myths (isn't that typical of all children?). 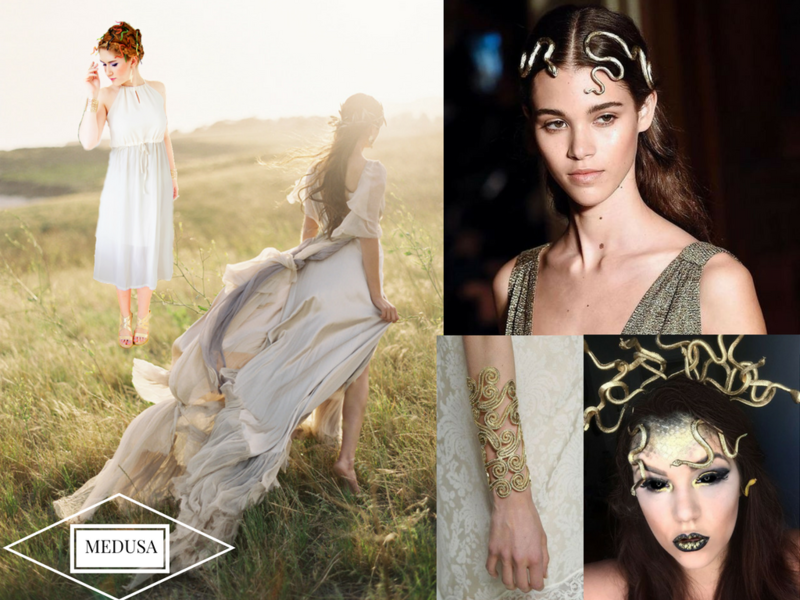 One of my favorite mythical characters is Medusa, a Gorgon with snakes for hair and whose look turned men to stone. Apart from these totally badass characteristics, she also has a completely enviable aesthetic. Get her look (without turning to stone) with a white maxi dress, a DIY snake headpiece, and lots of gold accessories. Photos via: Andrew Farrington, American Apparel, Adventures in Juggling, and Chanel. This costume is near and dear to my heart: this was my Halloween costume my senior year of high school. 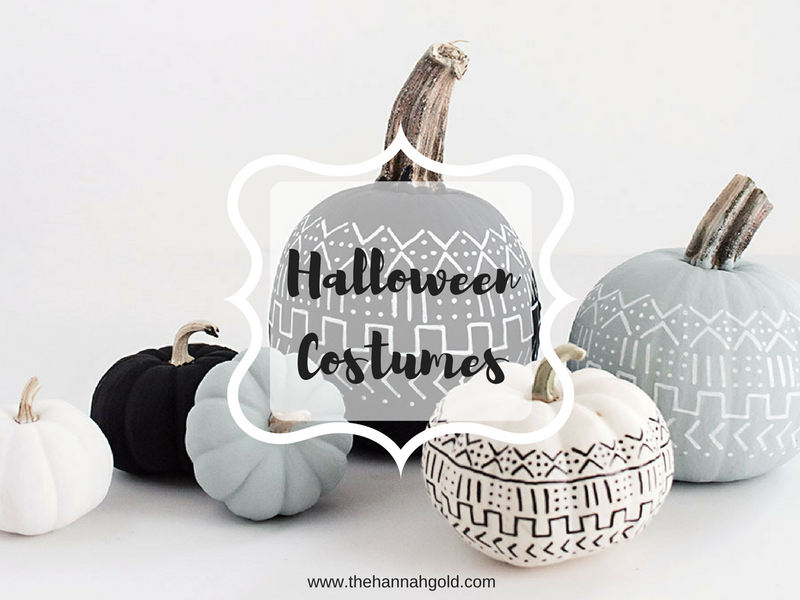 As a former ballerina, this was a super easy costume to throw together. 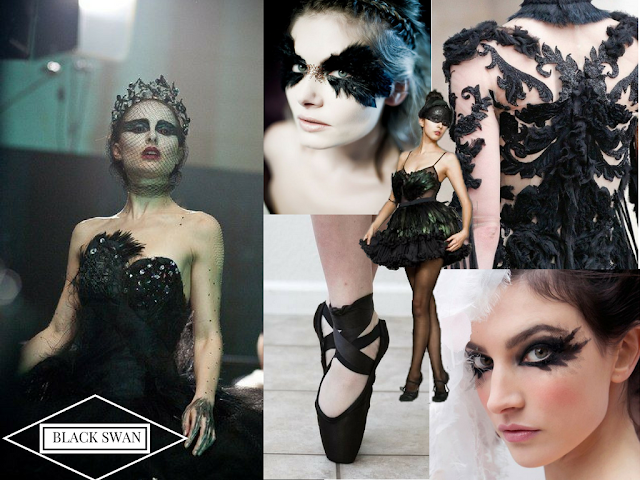 All you need is some black ballet flats (with some ribbon safety pinned in), a black tutu, a black bodysuit, black eyeliner, and a tiara. The full title of this costume is, "Successful lawyer who murders her boss for refusing to pay her equal pay for the same job," but that was too long to put on the graphic. 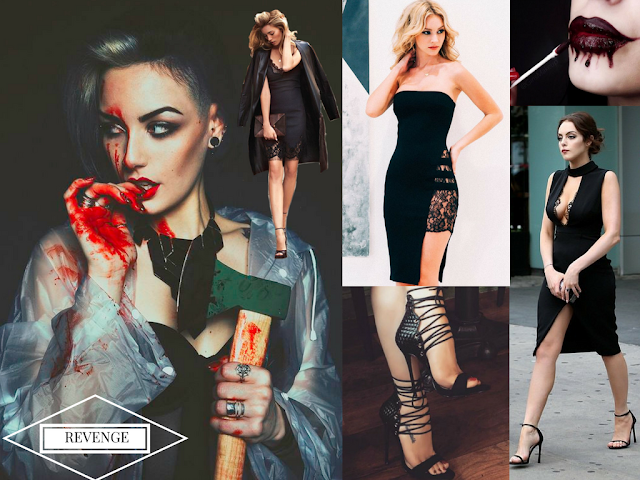 Put on your most revealing black dress, some black stilettos, a crisp maroon lip, and dip your hands in a little bit of fake blood to achieve the look.